OROGOLD Reviews – Gold in skin care? Now that’s an interesting concept. Have you ever heard of gold in skin care? I certainly have, called OROGOLD! Gold has been used in beauty and skin care ever since it was discovered. Common, don’t tell me you haven’t heard of those Queen Cleopatra stories about her lustful desire for gold. Well, before you start to wonder what I am blabbering about, let me give you an important piece of information. OROGOLD just sent me their unique 24K Caviar Collection for review. Yay. The use of gold in skin care has been in practice seen ages. Queen Cleopatra stories speak about the use of gold in her cosmetics and needless to mention, she is still the epitome of beauty! Although with the steep rise in the value of gold, it became almost impossible to include the gold in the skin care products. But as time went by, there were scientific studies that showed that gold is one of the best elements for skin care. Thus, some of the luxurious brands started using the gold dust in their products. Caviar is considered to be one of the most expensive food items in the world and is a delicacy made from processed and salted tiny fish eggs. This makes us wonder if the eggs of raw fish can really be beneficial for our skin or not? The fact is that Caviar can be extremely helpful for skin with its major benefit being that of anti-aging. After popular natural facials containing gold or fruit extracts in it, caviar facials seem to be the latest addition in these. Offers the goodness of the sea – The sea water and the marine climate is known to be good for human skin. Many people use sea salts to bathe as they help rejuvenate the body. Caviar too boasts of all the goodness that sea minerals have to offer. Cells similar to that of human – Caviar’s cell structure is very similar to that of human skin cells and this is why it has the ability to speed up the skin’s rejuvenation process. This ingredient produces good quality collagen at a rapid speed while also slowing down the body’s aging process. Provides protein to skin – Caviar helps provide your skin with the perfect protein diet. Proteins, that is, amino acids are what our skin and muscles are made up of. Amino acids are present in caviar in abundance and get absorbed into the skin directly. They rejuvenate the skin to make it look less tired and younger. Makes the skin glow and shine – Caviar which is a seafood item is quite rich in omega-3 fatty acids which are good cholesterol for the human skin. This helps form a layer of good fats on the skin that makes it shine and glow like never before. 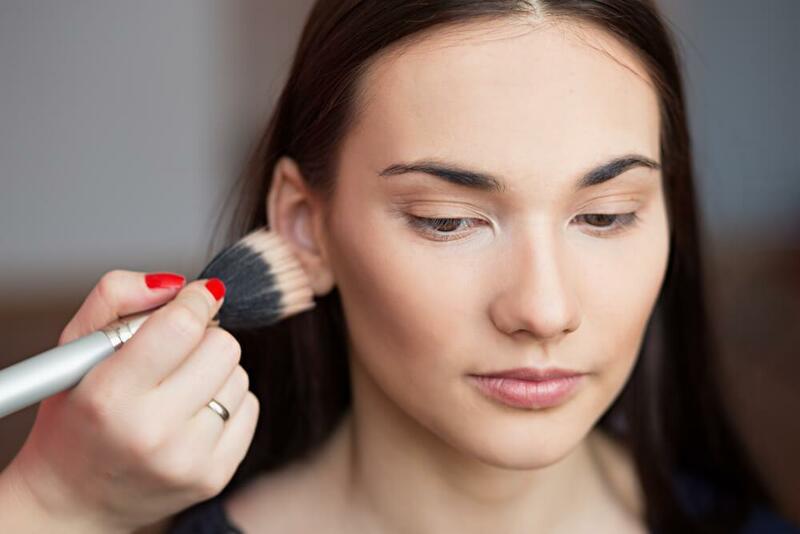 Helps makeup set better – Makeup can cause irreparable damage over time. Applying caviar-infused creams on the skin will help protect it as cosmetic foundation sits easily on a base of caviar without affecting the skin’s or makeup’s quality. Being a luxury food product, one cannot consume it on a regular basis. However, many skin care brands like Orogold, have started manufacturing skin care products that contain caviar as a major ingredient in it. One such range of products or collection would be the 24K Caviar Collection which contains Caviar in all its products and makes the skin glow and shine like never before while also dealing with visible signs of aging! Now, before I bombard you about my experience with the Caviar Collection, let me give you some insights into the brand. 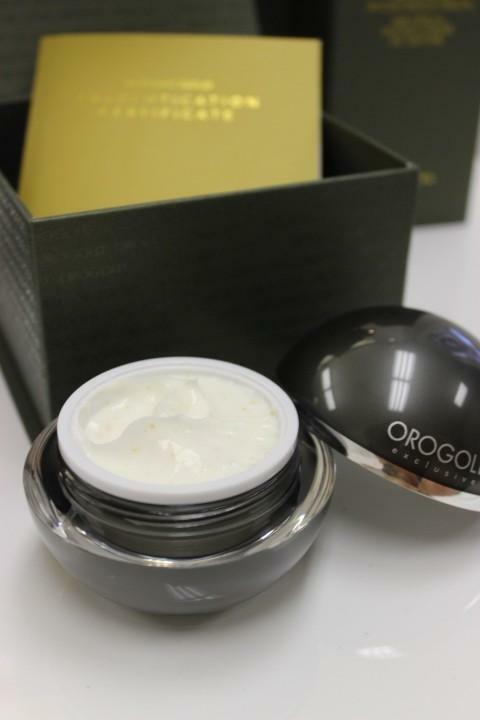 OROGOLD is a luxury skin care brand that uses gold in each and every one of its products. I just logged onto their website www.orogold.com, it certainly does its bit in inspiring people to try out the products! According to their site, OROGOLD was born in the year 2008 and it has been offering customers lustrous skin care products and collections that have been infused with the brilliant wonders of pure gold. 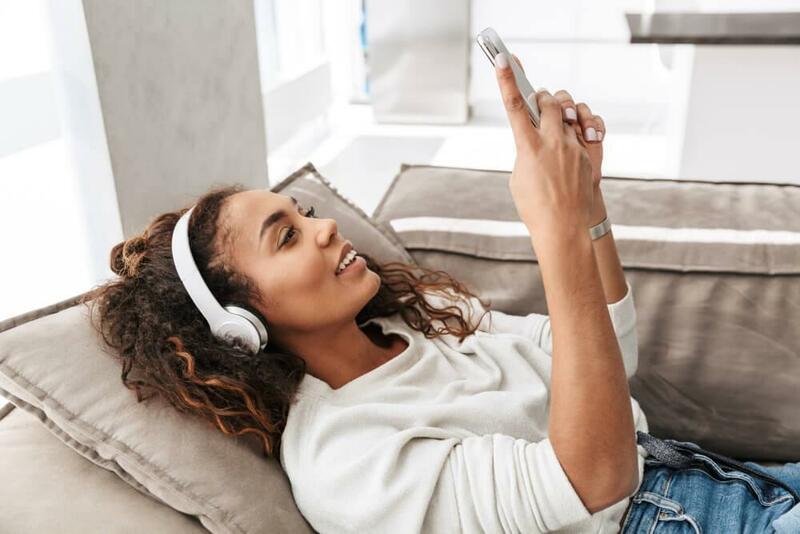 The brand offers its customers with more than 100 products to choose from and it states that it has something for all skin issues and all types of skin. The company says that they designed the 24K Caviar Collection to help restore lost elasticity of the skin and reduce the signs of aging by replenishing the lost collagen. Before, I move on to reviewing these products, just check out the way these products have been packaged. Each of those containers screamed out the world “splendor” and I almost felt like Denise Richards holding them in my hand. Each item of the collection was individually packaged in these beautiful dark green colored boxes with golden letters. The products themselves seemed like exotic black pearls that were lying gracefully on a golden colored satin bed. They even had a certificate of authenticity that proved the use of real gold packed into each product box. 10/10. Superb presentation, I must say. Moving onto the collection itself, the 24K Caviar Collection offers four “gold flavored” products – the 24K Caviar Micro-Beads Serum, 24K Caviar Micro-Beads Cream, 24K Caviar Elastin Restoration Capsules and the 24K Caviar & Sea Kelp Mask. Each product is supposed to work wonders for your skin, but they say that they work best when used as an entire collection. OROGOLD says that when these products are used together they “providing a radiant and energetic finish to your complexion”. Lets see whether they their products are actually as good as they claim to be. The 24K Caviar Micro-Beads Serum: I started off with the 24K Caviar Micro-Beads Serum. As directed, I used just 3 drops of the serum and massaged it on my face until it was fully absorbed. Now, iv applied a serum or two in my life and I usually have this sticky sticky feeling every time I apply a serum. What makes the Caviar Micro-Beads Serum so unique is that it is silky smooth. No stickiness here. What’s more, the product also has ingredients like green tea extracts, caviar and chamomile. And I really don’t know of anyone who could go wrong choosing such beautiful skin care ingredients. Another thing that stuck out was that my skin felt super moisturized after using the serum. It’s not at all heavy and it is extremely refreshing. Come to think of it, if this is what the serum can do, I couldn’t wait to get my hands onto the cream. 9/10. Reserving another point until I can figure out how my skin feels after one month. I am hoping that this product helps to reduce facial expression lines with regular use. Well, we will just have to wait and see, won’t we. 24K Caviar Micro-Beads Cream: I followed the Serum with the 24K Caviar Micro-Beads Cream. Again, as directed, I applied the cream right after applying the serum. I have already said a lot about the amazing packaging, so I’ll leave that alone. Talking about the product, one of the first things that I noticed was the pleasing scent. 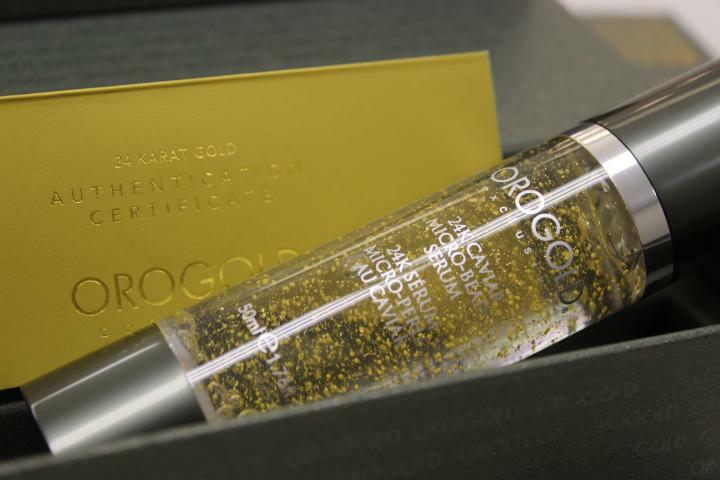 OROGOLD says that this product helps to “reduce the appearance of fine lines and wrinkles”. Well, when you consider the fact that they put in ingredients like Vitamins A and E, sunflower oil and caviar extracts along with gold in this cream, their statement hardly comes as a surprise. I liked the fact that my skin instantly began to radiate the moment I applied this moisturizer. Again, not very surprising when you open it and see the beautiful little flecks of gold. It literally melts into your skin and it doesn’t leave behind an oily residue either. Giving this product a 9/10 again. Not saving any points for the future. I’m already impressed and convinced by the 24K Caviar Micro-Beads Cream. If it can make my skin glow with a single application, I really cannot wait to see what it does after a month. Coming onto the last product in the collection, I almost didn’t have the enthusiasm of going through another shock again. One shock was enough for a day. I might just die out of joy if my skin looked any better today. And the product costs $1500. Might as well enjoy the sensations properly if I am going to use such a luxurious skin care product. So I think I shall put off using the OROGOLD Elastin Restoration Capule for another day. I have my days. Good days and bad days. Overworked days and nothing to do days. But, now I also have OROGOLD days and OROGOLD moments. I dedicate one day every week to the mask and the capsules and about 10 minutes to the serum and the cream. Heck, I even went and brought the 24K Cleanser. Why leave one aspect out!!! For all those who thought that skin care products could only be made of harmful chemicals or their better counterpart, natural ingredients, really need to read this! Orogold is a reputed and leading skin care brand that makes use of 24K gold in many of its products and works wonders for all types of skin by dealing with various kinds of skin issues and problems! For all those who have not heard of Orogold yet, let me tell you that it is a superb and unique skin care brand that was launched in the year 2008 and uses a special ingredient known as GOLD in all its products. Yes, Gold! I was as surprised as you are when I heard this word as we all have heard of natural ingredients being used in skin care products but never Gold. Orogold explains that Gold has been used for skin care since ancient times and it has numerous benefits to offer to our skin and body. This is the reason why Orogold has come up with a unique range of products that contain real gold flecks in it and work wonders on all kinds of skin solving various kinds of issues and problems with ease. I visited the Orogold store last month which is the ultimate definition of luxury and style as its white and gold decors really impressed me and left a positive impact of the store! I purchased the 24K Caviar Collection from them which consists of 4 products in it. This is what I have to say about each of the products and the collection as a whole. 24K Caviar Micro-Beads Cream – With an amazing smell and benefits of caviar, gold, vitamins and sunflower oil extracts , this cream reduced the appearance of fine lines and wrinkles from the very first use. It left behind a radiant face that glows just like gold does. 24K Caviar & Sea Kelp Mask – My skin became brighter and radiant and started looked younger when this mask was applied and rinsed off with warm water. It contains caviar, gold, jojoba oil and different vitamins and minerals in it. 24K Caviar Micro-Beads Serum – The serum contains caviar, chamomile and green tea and made the skin extremely smooth without leaving behind a sticky feeling. It also moisturized the skin from deep within and rejuvenated it. I had never felt this kind of a smoothness ever before! Just 3 drops to do the job! 24K Caviar Elastin Restoration Capsules – This product is known to deliver elastin to the skin to make it firm and tight like never before. Honestly, my skin has become so firm and tight that I can make out the difference by just touching my face. People have started noticing the difference and my husband can’t stop praising me! I would surely recommend this collection to women suffering from loose and sagging skin. It is the best way to get firm, tight and great looking skin which has a distinctive glow and shine on it. Orogold had sent me their unique 24K Caviar Collection for review and that made me really ecstatic and surprised! But before you read about my experience, it is sensible to give you same basic information about the brand itself. The official website of this brand is www.orogold.com and this brand was launched in 2008. Since then, it has been offering customers with more than 100 top notch and exclusive skin care products which contain pure gold in it. Speaking of the collection itself, the products in the collection reveal their optimum results when applied as a whole collection as they provide an energetic and radiant finish to your skin tone. 24K Caviar Micro-Beads Serum – In order to get the job done, simply use 3 drops of the serum and massage on face till it gets fully absorbed. Most serums leave behind a sticky residue but this wonder product was silky smooth without being sticky. It offered all the benefits that its enriched ingredients such as caviar, green tea extracts and chamomile had to offer. The serum moisturized my skin and also made me feel completely refreshed. 9/10. I want to see how this product works with regular use and thus saving a point for that. 24K Caviar Micro-Beads Cream – The cream followed the serum as I was using the collection as directed. The cream had an amazing scent and has been enriched with gold, caviar and sunflower oil extracts and Vitamins E and A. This is why it promises to reduce the appearance of wrinkles and fine lines. I noticed a unique radiance on my face after applying the cream which contained gold flecks in it. The cream just melted into my skin without leaving behind any residue. 9/10 again! 24K Caviar & Sea Kelp Mask – This mask contains jojoba oil, caviar, gold and various minerals and vitamins in it. Such ingredients can be extremely beneficial for the skin. I applied the mask and left it on for around 15 minutes. When I was done, I rinsed it off with warm water to reveal a brighter, younger and prettier me that I had never witnessed before! A complete 10/10 for this one I would say! 24K Caviar Elastin Restoration Capsules – This was the last product in the collection which promises to deliver loads of elastin onto your skin directly and promises to tighten it and make it firmer than before. As I have just started using it since a few days, am waiting for visible results. But yes, my skin does feel a little firmer than before as that feeling of sagging is slowly disappearing. 9/10 till now! Gold has been an essential skincare element since time immemorial, perhaps even before the time, when historical records were started to be documented in written form. It is believed that by using gold for skincare solutions, women can remain young and beautiful for a long period of time. There was a time when I too doubted the extent of truth associated with this belief, but when I started using the luxury cosmetics products of the famous international brand Orogold, I perceived the truth regarding this belief. In fact I was quite fascinated by the Orogold exclusive collection of 24K Caviar products, which I began using last year. Till day I am using these 24K Caviar products from Orogold and can’t imagine a day without using these. Gold is quite essential for skincare and Orogold has proved this fact by incorporating gold in each of its products. I used to read about the Orogold 24K Caviar products but never tried to use it until one day during the month of February last year I came across the detail description of each of these products on a website and thought of trying some of these at home. The remarkable range of Orogold 24K Caviar products comprise of the 24K Caviar & Sea Kelp Mask, the 24K Caviar Micro-Beads Serum, the 24K Caviar Elastin Restoration and the 24K Caviar Micro-Beads Cream. But I readily ordered only for the 24K Caviar Elastin Restoration online from my home as I was about to use an Orogold product for the first time. When I got the new sealed pack in hand I could not wait any longer but promptly opened the attractive pack for using the product right away. I read the instructions provided along with product and from that day started applying one capsule on a daily basis on my cleansed skin. I noticed the difference on the first day of my use and within a couple of days only, the result, which I observed was shocking, drastic and dramatic. My skin felt like real silk and was looking years younger. So, as it was instructed on the pack of Orogold’s Caviar Elastin Restoration serum, I decided to use it along with Orogold 24K Caviar & Sea Kelp Mask. After purchasing the 24K caviar mask I started applying it once daily on washed skin. What I found out right after the first use that this product was more than magical – it was like a miracle. This mask endowed me with my long lost glow over my present day dull and fatigued skin, the wrinkles on my face also appeared to be lessened to a large extent. Now it has been several months that I am using all the 24K Caviar products from Orogold and cannot even imagine a single day without these products. The use of gold in beauty products ensures the best results for your skin. Gold helps to oxygenate and purify the skin. It also diminishes the aging signs like fine lines and wrinkles. Now premature aging is no more a concern if you make a visit to OROGOLD store and make use of their products on a consistent basis. It will revive the beauty of your skin and give amazing results. The skin’s metabolic functions are boosted because the presence of 24 K gold with a combination of other minerals and vitamins is found in these skin care products. When it comes to skin one should not take chances. It is important to respect your skin and give the right treatment for an eternal glow. The cell life will improve and new cells will be regenerated. The collagen production will be enhanced and you will notice a big difference in your skin, once you start using the products on a daily basis. There are a number of skin care products to choose from like, creams, moisturizers, masks and much more. Aging signs like wrinkles, fine lines, crow’s feet and others can be quite disheartening and can affect your self confidence easily. OROGOLD store has a range of such awesome products that has Gold in it to diminish the aging effects, giving clear skin at the end. You can also enjoy powerful anti aging treatment at the OROGOLD store where the facial will be customized as per your skin needs. The products work miraculously on your skin because of the presence of 24K gold in the products. Gold is among the softest metals that are absorbed easily by the skin and it removes toxins and wastes from the skin keeping it more healthy and flawless. Using the products on a consistent basis is also healthy for your skin. The skin elasticity is improved and blood circulation is stimulated. Most of the skin problems happen because of unwanted stress, lifestyle and different other reasons. Therefore, the use of these cosmetics from OROGOLD aid moisture retention and preserve the youthful qualities of the skin. The skin appears glowing and radiant after the use of OROGOLD skin care products that are rich with gold. It is because of the presence of Gold in the products, that makes them all the more effective for your skin. Let us now understand the function of Caviar extracts in our skin care products and why Orogold based an entire collection on it! Caviar extracts help to speed up the collagen production in the body by almost 67 percent while reducing the protein cross-linking or fibronectin. Caviar is rich in Vitamins A, D, B1, B2 and B6 along with micro-elements such as Cobalt, Potassium, Selenium, Zinc, and Copper. These nutrients improve dermis elasticity of the skin and prevent tissue erosion from taking place. It is also loaded with amino acids such as asparagines, arginine, lysine, histidine, and glycine. It is the presence of these ingredients that help make the processes going on inside human skin cells intense in nature. They slow down the body’s natural process of aging and moisturize the deepest layers of the skin. Caviar’s unique cellular structure is quite similar to the cells found in humans. Caviar cells contain 50-70 percent of water just like human cells do. This is why caviar is extensively used in skin care products and also found its use in spa treatments for the body and face. The extracts of caviar make the skin firmer and tighter than before and provide such levels of hydration that are the highest possible for the skin to achieve. 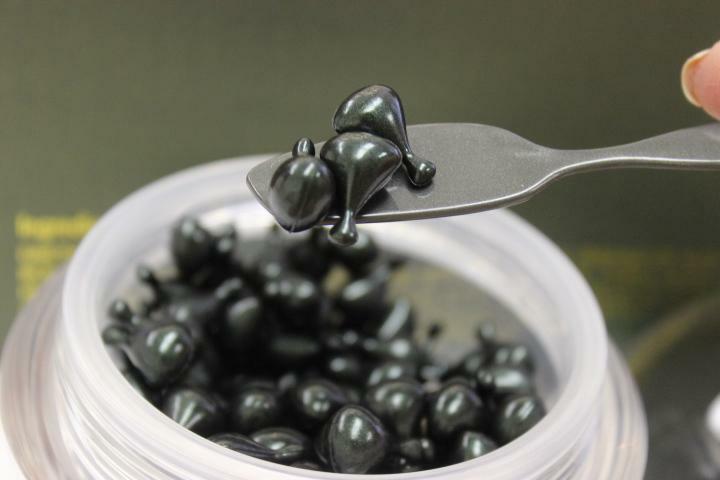 These extracts form a light film, which also retains moisture, over the skin to protect it from the sun’s UV rays and other environmental factors such as pollution, dehydration, and climatic changes. It is this very protection film that reduces the appearance of wrinkles and fine lines and improves the skin’s appearance immensely. The skin’s mitochondrial function also improves with the extracts of caviar while the inflammatory environment is surrounding aged skin cells considerably reduces with it. Another function of caviar extracts is that it helps stimulate skin regeneration due to high amounts of antioxidants in it. These antioxidants help protect the skin against UV damage too. Caviar components get absorbed into the skin without causing any allergic reactions on it. If you still wish to test the effectiveness and benefits of Caviar before investing your money in our amazing 24K Orogold Caviar Collection, then you can step into our store for a free facial experience using caviar-infused products. Our sales representatives would be more than happy to give you a free trial along with a special skin-consultation session with our in-house skin care specialists who will help you choose the right products out of our various collections. Now, your skin doesn’t get affected with the changing weather. People are often frustrated with the changing weather conditions and how it affects the skin heavily. They rush to various dermatologists asking or take suggestions from people as to what can be used in summer to prevent the makeup from getting messed up by the constant perspiration. Winters tend to dry your skin. Weather seems to play a major role in maintenance of the skin. How about having a product that is best suited for all climatic conditions? Sounds great, isn’t it? We, at OROGOLD offer products that can be used throughout the year. You need not worry about changing your product to suit the temperature. Our stores are exquisitely designed and have some of the best products for you. Apart from this, our skin experts guide you through the regular skin regimen. They patiently give you complimentary services along with expert advice on skin care and how to use the products for best results. What makes a difference to your skin is the use of gold in our products. It heals the skin, gives it a natural glow and reverses the signs of aging. Apart from that many natural ingredients are used in combination for keeping your skin flawless and healthy. One of the key ingredients that are found in most of our products is Shea Butter. Shea Butter is extremely beneficial in protecting your skin. Not only does it protect your skin from the unforgiving sun, but also keeps your skin safe from environmental harms, pollutants and much more. Our products nourish your skin deeply for an everlasting glow. Most of our clients come back to us talking about how good our products are and how our ingredients have worked wonders on their skin. With OROGOLD products, your skin receives all the essential and luxurious treatment that is unique and effective. Apart from protecting your skin from the harmful rays, our skin care products also have anti ageing properties which makes your skin look younger and flawless. The most beneficial part about our store is that our products are first given to test along with expert advice before you make a purchase. You can also enjoy the premium facials offered at the store that are luxurious and worth your time and money. Thus, we ensure that our customers are fully satisfied and content before they leave our store. Update: Of the many luxurious skin care brands available in the market, OROGOLD has gained much popularity among the rest. OROGOLD is a luxury skin care brand that is different from the rest as it uses gold in each and every one of its products. Established in the year 2008, OROGOLD has been offering customers lustrous skin care products since its inception. Frankly speaking, it is a bit difficult for everyone to use their product for daily usage. But it’s all worth in the end when you see the healthier, younger and ever-glowing skin on your face! And then probably you will get to know the brilliant wonders of pure gold. With more than 100 of products in their collection OROGOLD has something for all skin issues and all types of skin. The 24K Caviar Collection has been loved by the people whoever has used it. It has been made to restore the lost elasticity of the skin. Also, it helps to reduce the signs of aging by replenishing the lost collagen from the skin cells. The four gold flavored items in the 24K Caviar Collection are the 24K Caviar Micro-Beads Serum, 24K Caviar Micro-Beads Cream, 24K Caviar Elastin Restoration Capsules and the 24K Caviar &amp; Sea Kelp Mask. It’s best to buy the entire collection to get the best result. They do not have the stickiness and gives a super moisturized feel when used properly with the other products of the set. What make these products even more interesting are their brilliant packages? The beautiful dark green colored boxes with golden letters are undoubtedly impressive. 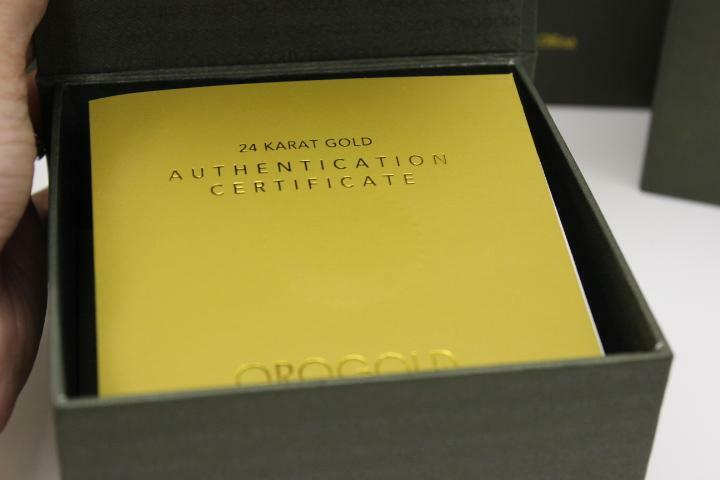 And just to fight the fraud, each and every product comes with a certificate of authenticity that holds the use of real gold. In each and every store of OROGOLD, you can request for the free product samples and the free facials. There are also skin care experts to assist you with the best skin care tips.